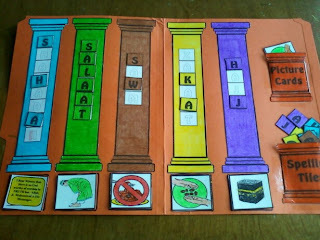 We did a Pillars of Islam file folder game. 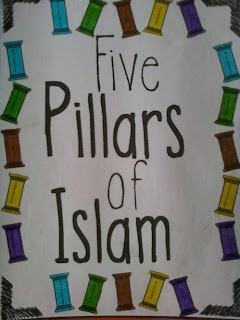 The paint brush matching was such a huge hit, I thought beyond that and did a Pillars of Islam one. 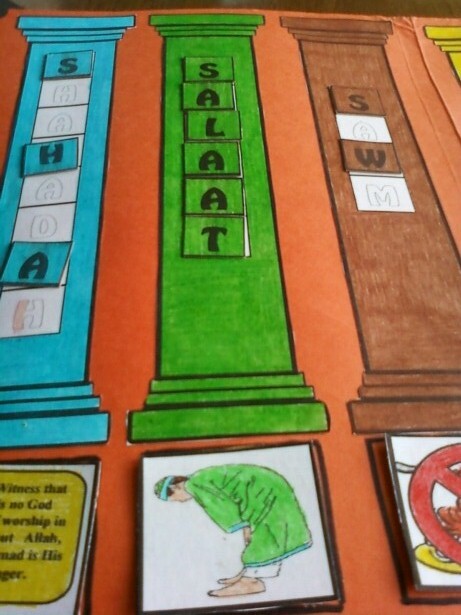 This is a simple game that teaches not only the names of the pillars but teaches the spelling too. 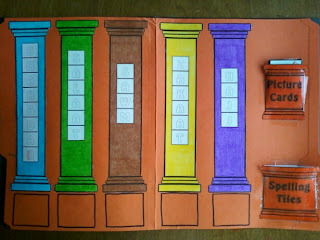 My 6 yr old has been covering the Pillars so I thought the timing was perfect to make this one. The main layout of the file folder game has the five pillars and 2 pillar shaped pockets. 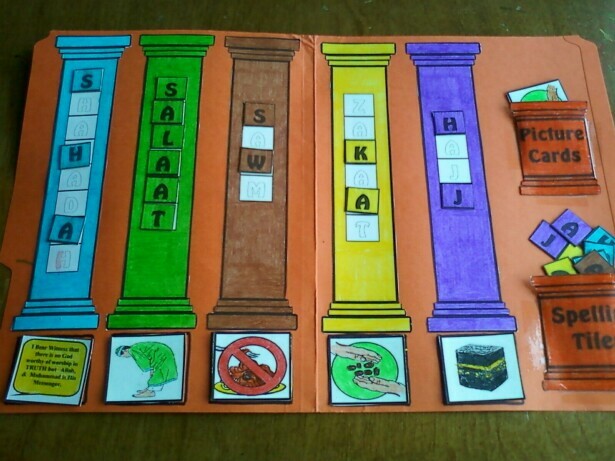 The concept of the game is to match the letter tiles onto the correct Pillar spelling out each pillar of Islam. 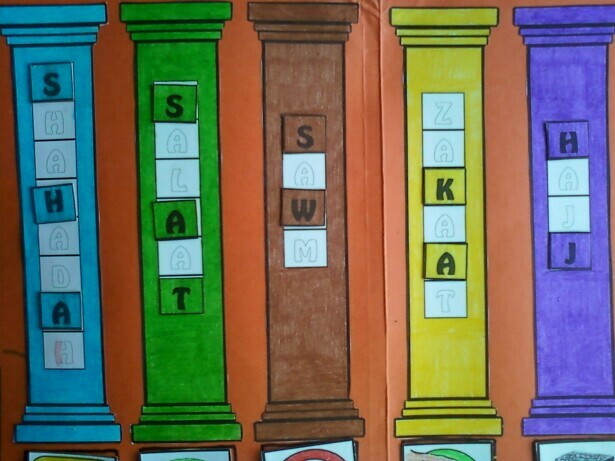 A Pillar up close with Spelling tiles. 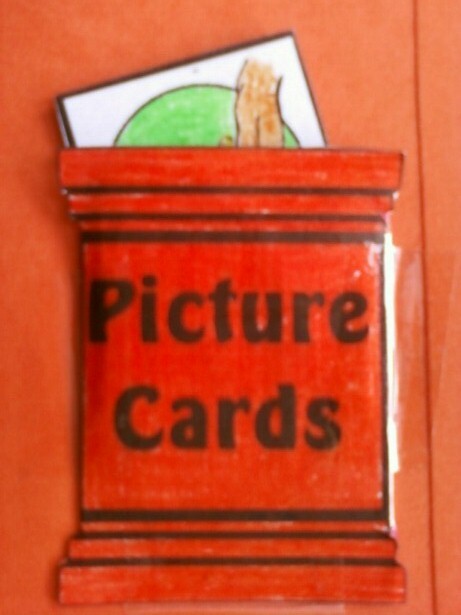 Another Pillar shaped pocket holds the picture cards. 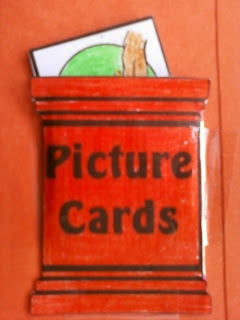 Pillars up close with matching picture cards as an addition to the lesson. 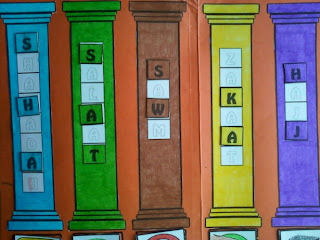 The student will match the picture below each pillar. The entire game with cards and some matching spelling tiles. 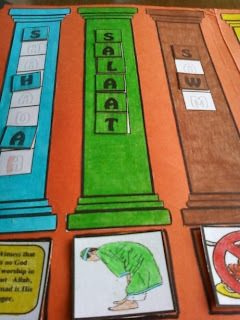 Mashaa'Allaah this is another lovely project you have made and great for younger children. Is it on the wall? 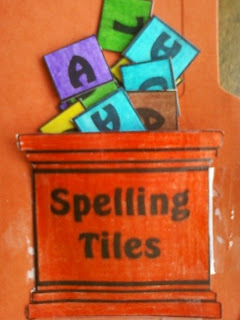 Because I was wondering what you would stick the letters on with (as they would have to come off easily to use again and again. May Allaah continue to bless you and your family and make your home a warm and happy home always...Ameen (I'm sure it is insha'Allaah. 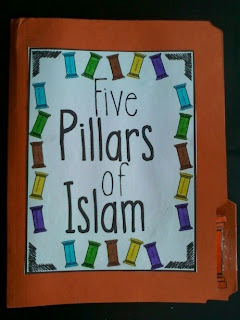 I love all your work mashaa'Allaah. 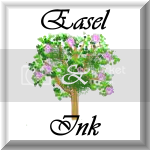 Masha Allaah really neat and nice. 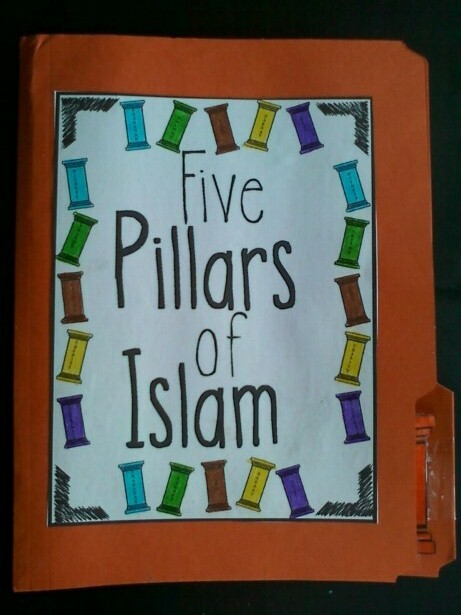 Hope to do this soon Insha Allaah as My daughter learns a bit more. 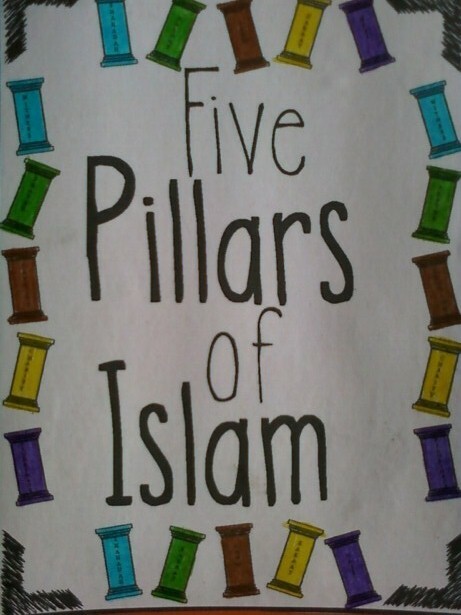 Jazzakillaah Khayr for sharing this wonderful idea sis! assalamu allekum! 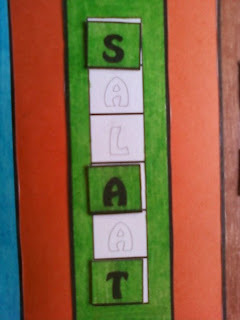 i liked a lot a little later i will make it too inshAllah. 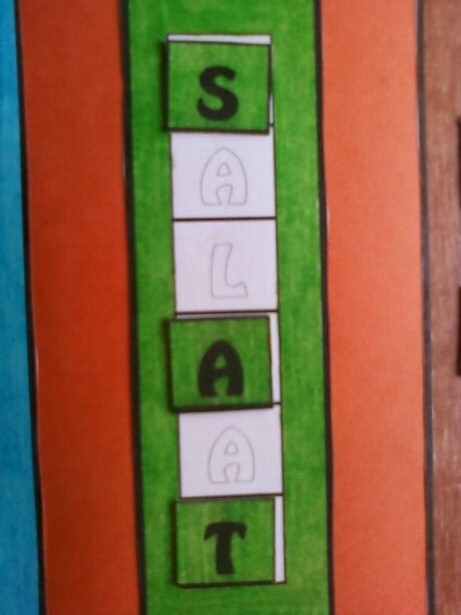 How we are saying in Turkey health to your hands! jazzaki Allahu khaeran this is wonderful.